The Tony nominated musical The People in the Picture's cast album has just been released on the Kritzerland label. 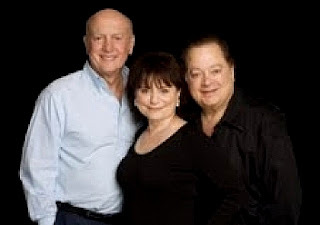 To honor that release the musical's composers Mike Stoller and Artie Butler and librettist Iris Rainer Dart shared their feelings about the various challenges of writing and mounting The People in the Picture. "I wanted to write a story about the power of laughter. Both my mother and my father were immigrants. My mother came to America from Russia and my father from Lithuania. My father put himself through college and became a social worker in a settlement house in Pittsburgh’s Hill District, a neighborhood which was later made famous by August Wilson in his now beloved plays. We had no money. We were always behind on payments to the phone company, the utilities and the grocery store. But the great thing was that we had something money couldn’t buy. A group sense of humor that enabled us to laugh at all adversity. Nearly all of my memories of my childhood are about laughing, telling jokes and singing. The Yiddish culture was an enormous part of it. The exquisite humor of that culture was woven into the fabric of our lives. It was growing up knowing about Yiddish films, songs and theater that made me a comedy writer and it was the same sensibility that inspired the great comics and comedy writers of the bygone eras. As I researched the power of laughter, I learned that the ability to have a sense of humor even during the horrific times of adversity was a characteristic of the Jews. I found that surprisingly there were jokes told in the ghettos and the concentration camps that had a particular dark sensibility that astounded and fascinated me. So I decided to create a character who was the star and creator of Yiddish films in Thirties Poland and tell her heroic story through the war years, culminating in 70s New York where she is a grandmother, with a grandchild eager to hear her Bubbie’s (The Yiddish word for grandmother) stories and a daughter who resists hearing them." "The challenges with this show came with going directly to Broadway with no opportunity to experiment with what should and shouldn’t stay in the show. We were lucky to have Donna Murphy, a giant Broadway star, and that was a blessing. And to work at Roundabout, the fantastic and generous not-for-profit behind us. But it would have been nice to be more able to have time to experiment, which a Broadway opening doesn’t afford the writers." "The main thrust of the project for me was making sure that the score sounded absolutely seamless musically. This is due to the fact that the score is composed by two composers who in life are very friendly with each other, but musically each brings his own warmth and humor to the show. It was truly an adventure of laughter and crying for me. I know it was for Mike as well." "At first I thought...although I am Jewish, I was not raised in a particularly religious, Jewish family. So I thought that might be a challenge, and yet it proved not to be. However, early on, I invited a dear friend Artie Butler to join me on the project. I have known him for 50 years. It was a very joyful experience to both be working on this wonderful project. " Why didn't the show become more successful and have a longer run on Broadway? "This is a very personal feeling. Almost every evening when I was in the theatre, people walked out with tears in their eyes. They were very touched and moved. I think some critics view that with suspicion when anything is that touching.There's nothing wrong with sentiment, but I fear they view it as sentimentality rather than sentiment. Frequently there were Q and A's after the show, and many people from the audience stayed. They loved the show, including children of holocaust survivors. It's a touchy subject, but I think it was handled very well. Iris Dart is a wonderful, wonderful writer. Our collaboration was a dream." 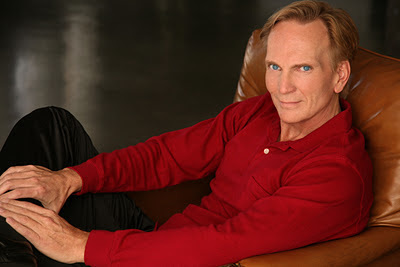 Actor/playwright Doug Haverty has had a very busy 2011 both on stage and off. He discusses the local productions given his musical iGhost and play Next Window, Please and his acting roles in two GRT productions: the recently closed Agatha Christie's And Then There Were None and the upcoming My Three Angels, set to open December 9. Tell me about the challenges of producing your musical iGhost. Our production of iGhost (inspired by Oscar Wilde's The Canterville Ghost, but a complete departure from it) was very challenging and rewarding for everyone involved. As we - Adryan Russ is my collaborator on this piece; she providing music, I wrote the book and we co-wrote the lyrics - were developing the piece and doing workshop presentations, we were gifted by the performances of many talented actors. This was a very ambitious project with a cast of thirteen requiring period costumes as well as contemporary costumes; dancing and singing. We were also blessed with some extraordinary collaborators on our creative team. And, of course, we owe so much to our director, Jules Aaron. We did a lot of work on the book, prior to production and a good deal of work while in rehearsal. Jules was a saint and actually brought to the production both our choreographer and our set/lighting designer. 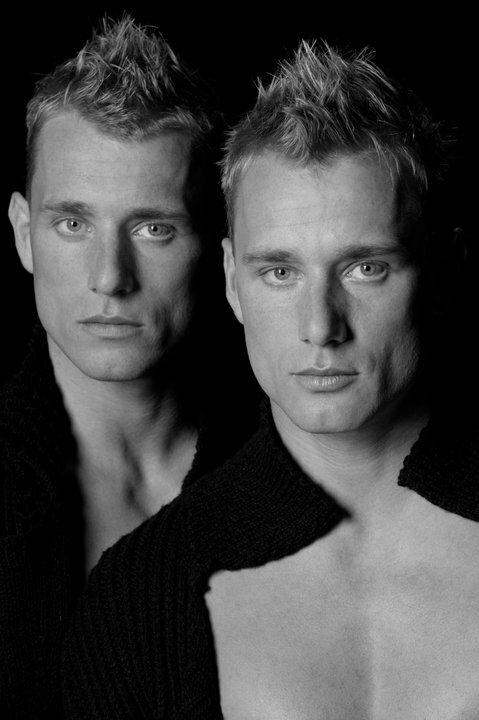 Jules and I had worked together before on the world premiere of Could I Have This Dance at the Colony and I think the world of him. He really conjurs up a vision of the entire theatrical experience and he is an excellent dramaturg. Not long after the Colony premiere (which was very well received and gathered many awards for all involved —including my script being named Best New Play by the American Theater Critics) I was offered an Off Off Broadway production at the Village Theatre Company in Manhattan. They said I could have any director I wanted. Naturally, the first person I called was Jules. And even though it was New York in August/September, and even though Jules had already planned a trip to Italy for that exact time slot, he said yes. Jules also directed a production of our musical Inside Out (also co-written with Adryan Russ) at the Laguna Playhouse; a production that came about as a result of Jules’ suggestion to then Artistic Director, Andrew Barnicle. So, to put it mildly, we were thrilled that Jules could find the time to helm this production and he did so, clearly, because he thinks it has great commercial potential. Looking back, I’d have to say that the main challenge we had was time. We were working under the Equity 99 Seat contract and we followed those rules religiously. And we had scheduling challenges; 13 actors, all with conflicts (previous commitments, work, callbacks, etc.). We also spent the first half of the rehearsal period working on the set of the current show at the Lyric (which included 3 trailers as it was a trailer park musical). So, some smaller scenes were fine, but it was hard to choreograph dance production numbers in that confining set-up. There were the standard stress flurries associated with any new show, compounded by the time constraints and eventually some personality conflicts arose, but everyone really seemed to believe in the piece, so we made it through all that. Adryan and I had had some success with our six women musical, Inside Out, in part because it was easy to produce: no set requirements, just six chairs. So, when we started to work on iGhost, we thought big. We wanted a large (two-story) set, and special effects and flying. With the production at the Lyric, we were able to see how the show can be presented in smaller venues (which, most likely, will be how many future productions will be presented). One of the best things to come out of this production is Richard Berent’s arrangements. He creates tracks that augment a live piano. So, while he was playing the show live, he would also initiate tracks to enhance the sound. And, in addition to being a brilliant musician, he is also a writer and artist himself. He treated our material with such respect and reverence. He examined each scene and the characters involved and came up with a different sound for each musical number. Yet, he restricted himself to the sound of a small orchestra. So, instead of computerized-sounding “strings,” he used one violin, one cello, one viola, one bass giving the entire score a truly unique sound. And now we’ll have use of those arrangements and tracks for future productions. That's wonderful. And I know how successful the show turned out to be with many weekends completely sold out. Now let's talk about your play Next Window, Please. Next Window, Please was a joy from beginning to end. We had done a series of readings at The Group Rep using their company members. When we were finally ready to go into production, two of those actresses (Group Rep is a membership company and tries to cast each show entirely from their membership) were not available. So, we sought actors from outside the company and found Shelby Kocee (from Theatre 40) and Bianca Giselle (from The Road). Trisha Hershberger, Gina Yates, Kady Douglas had all done previous readings. Stephanie Colet and Christopher Wolfe had literally just joined the company. The director, Richard Alan Woody, and I completely agreed on the casting. Little did we know that we had put together an incredible force of nature. These seven people bonded immediately and developed a camaraderie the likes of which I’ve never witnessed. Every rehearsal was like a reunion of longtime friends. We were very lucky to get this cast and most of the positive comments we received were about the cast and how wonderful they were as actors and as an ensemble. Next Window, Please came out of my experiences from working for various banks. I knew from the start, that this might not be the great American drama, but taking heed of “write what you know,” I thought I’d explore this chapter of my life. I was not looking to create a pot-boiling, full-of-intrigue, Moneychangers storyline. I was interested in showing the community that thrives on the other side of the plexiglass. And although the action takes place in a bank, it could be any office situation. I was actually robbed while I was working at a bank on Hollywood Boulevard. And my robbery was similar to the one that occurs in the play; almost benevolent. Maybe that’s not the best choice for a dramatic setting, but that’s how it happened and that is how the banks want them to happen; they don’t want gunshots and ambulances. In one of my last conversations with The Group Rep’s founding Artistic Director, Lonny Chapman, he suggested the insertion of monologues for the women. He suggested we break the fourth wall and have each teller come up, one at a time, and instead of saying “May I help you?” tell us something that we never expected, something they may not have shared with their co-workers. So, I had each teller answer an unasked question: What was the most exhilarating day of your life? And what was the worst thing that happened to you? Audiences really seemed to appreciate these monologues. I totally agree. They were definitely riveting. 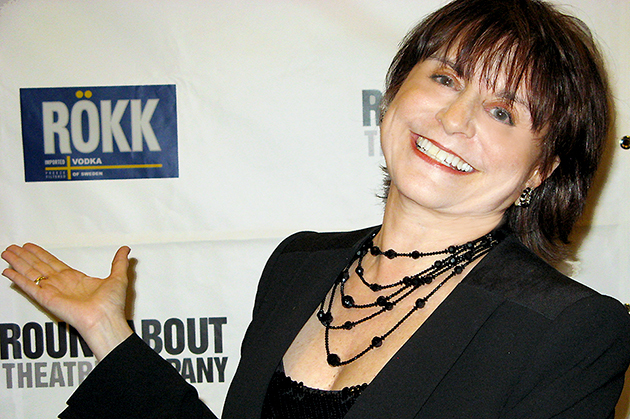 Do you prefer writing musicals or plays? Writing musicals is very difficult. For one thing, at least in my case, it has to be done with a collaborator (or collaborators). 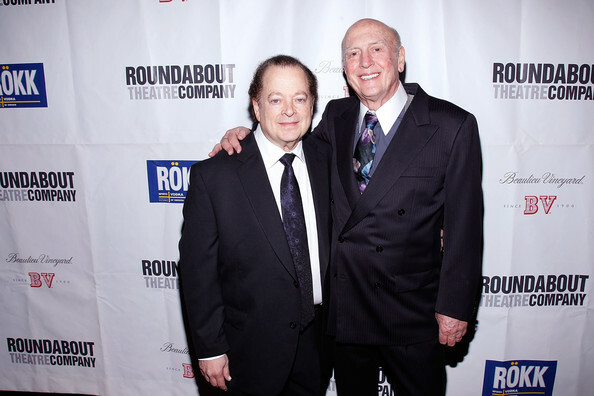 I’ve been fortunate to have good experiences with the few musicals I’ve written. I’ve written three musicals now with Adryan Russ and we get along famously. We’re working on two more. But they take a lot of time. Adryan and I met in the Lehman Engel Musical Theatre Workshop (now called ANMT) when Lehman Engel actually flew out from New York to teach. He ran the BMI workshop in New York as well. When he came to to Los Angeles for the first time, he was astounded at how many writers turned up to take his workshop. He tried everything he could to dissuade us from embarking on this writing nightmare. He asked of the 300+ people in attendance how many of us fancied ourselves as bookwriters. About 75 people raised their hands and he was flabbergasted. He made us stand up. He said referring to us nervous would-be bookwriters standing, “Ladies and Gentlemen, these are the STUPIDEST people in the room! Why would you want to write the book for a musical? If, by any chance, the musical works, the book is the last thing to be acknowledged. Yet if the musical doesn’t work, for whatever reason, the book is always the first place they point the blame. Now, you’re already standing. No one will think anything less of you if you leave right now. In fact, go downstairs and buy a lottery ticket. You have a better chance at winning the lottery than you do in writing a hit musical.” No one left. We sat down, stayed and survived the entire workshop. I guess there is something about attempting the near impossible that fascinates us. Even that we write theater pieces defies logic and common sense. Each year there is less and less of a chance to have anything produced. Even though musicals are generally popular with audiences, the tendency is to mount known shows, revivals. So, we’re always competing with the past catalog. Personally, I love creating musicals. When they work, there’s nothing like it. They take a lot more effort and revising them is even more difficult if those revisions dictate a change in music, lyrics or structure. When a song works, it’s very satisfying. But it’s a huge time commitment (at least it’s proven to be that way for me). Now let's switch gears and talk about Doug Haverty the actor. What was it like taking over the role of the judge in And Then There Were None? Ten days before And Then There Were None opened this year at The Group Rep, the director Shira Dubrovner asked me if I would understudy the role of Judge Wargrave. The actor playing the role requested an understudy because his health was failing, he was working full-time and taking care of his wife, who was also in ill health. I agreed with the understanding that I would be guaranteed one weekend of performances. Two days later, the actor was too ill to rehearse, so I stepped in and stumbled through the play with the actors pushing me around like a ping pong ball. Then the next night I was called in again. Two days later the actor withdrew and the director informed me that I would assume the role. This was six days prior to opening with a preview in four days. Judge Wargrave is in all three acts and has a pretty fair amount of dialogue. But, somehow, I did it. The play went into my brain. It did not always come out in the right order though. My fellow actors were great, offering to run lines with me or run scenes, come in early, stay late. In short, this was not an ideal situation for anyone concerned, but it was a challenge and therefore exhilarating. We opened and I did the entire run. As a writer, I had new appreciation for Dame Agatha Christie. Her plotting and characters are sublime. As a teenager, I read her books and, most likely, her writing instilled in me a love of true “characters” and their various idiosyncrasies. What about My Three Angels? Are you having fun? Again, for me, the fun is in being part of the team. This is a wonderful cast and a joy to work with all of them. I’ve never worked with Larry Eisenberg as a director and he is very creative and daring and likes to explore different options, which I find informative, challenging and fascinating. We may do a scene one way, pretty much the way everyone assumes it should be done. And he’ll throw us a curve ball and add a different intention to see if it plays better or more intriguingly. Larry strives to have everyone believable in their roles and makes that the top goal. It’s a wonderfully quirky play; not your typical Christmas fare, but we’re hoping people will like that aspect and enjoy this refreshing departure from the standard holiday faire. My Three Angels takes place on an island in the Caribbean at Christmas. The temperature varies between 104 and 105 degrees. My character and his wife and daughter have recently been relocated to this island, originally coming from France. Sam and Bella Spewack’s script is delightful on the surface and the subtext is quite intricate and deep. A lot happens in a very short time, none of it predictable. It’s not unlike It’s A Wonderful Life in its tone and underlying message. What else is new? What does your work entail with Kritzerland? I have been a graphic artist since college when I worked for the student body association doing posters for concerts, speakers, dances and other on campus events. I’ve worked at three record companies and my most recent full-time job was as Vice President of Creative Services for All American Music, where I was in charge of all visuals: package design, advertising, merchandising and videos. Fortunately, with my years in the music industry the executives I reported to were understanding and allowed me to take off work when I had new plays going into production. In 1998 I opened my own graphic design studio (out of a spare bedroom in my house) and it’s gone fairly well. I had built up a lot of contacts while working in the industry. Since 1999, I have worked with Bruce Kimmel (and his various labels: Varese Sarabande, Fynsworth Alley and now, Kritzerland). We just released our 100th CD on Kritzerland. I also maintain the Kritzerland website, which is actually a commercial website where the CDs are sold. Kritzerland specializes in re-issues of classic film scores, some of which have never been on CD or have been newly re-mastered. Sometimes we get stills from the studios, but many times I have to find them. I’ve had very good luck rummaging through the collected stills at Eddie Brandt’s Saturday Matinee in North Hollywood (with a huge thank you to Claire there who maintains the archive). Kritzerland just released a CD from 13 year old Melody Hollis called Melodyland. I’ve seen Melody in action and she is a force to be reckoned with and one of the most together people on the planet. It was a pleasure to design her CD as well as Jason Graae’s latest Perfect Hermany. I’ve known (and admired) Jason for years and when our musical was presented at the Disney/ASCAP workshop, he was the first person we called and he jumped in and helped us present there (and was hysterical as always). I have also done design work lately for LML Music, which specializes primarily in vocal albums. I just completed working on Susan Egan’s latest (and brilliant) CD The Secret of Happiness co-produced with Georgia Stitt. Recent CDs have also been designed for: Lea Salonga, Tom Wopat, David Burnham, Teri Ralston, Melora Hardin, Ray Jessel, Robyn Spangler, Steve Ross and Shaynee Rainbolt. 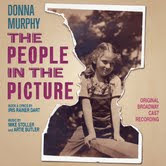 Just this past week, we completed the design for the first release of the Broadway Cast Recording of The People In The Picture with Donna Murphy (which is due out in mid-December). I also just completed the design for an unusual soundtrack for ZhuZhu Pets’ “Quest for Zhu” which is an animated quartet of singing squirrels, not unlike the Chipmunks. They are a huge phenomenon with kids around the world and had a float in this year’s Macy’s Thanksgiving Day Parade. I have worked with “Weird Al” Yankovic since 1992 and I recently designed a series of “baseball cards” for him that are selling like hotcakes on the internet and at Al’s concerts. 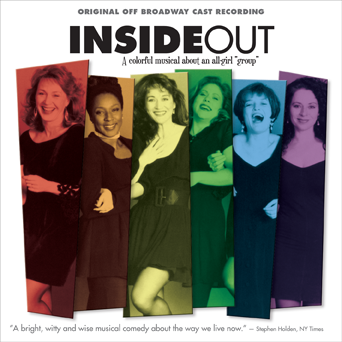 One of the hardest projects I’ve had to do in years, is a re-design of my own Off Broadway Cast Recording of Inside Out. It’s very hard when it’s your own baby and no matter what I came up with, none of us were happy (“us” being my co-writer Adryan Russ and our re-release producer, Bruce Kimmel). Eventually, I hit on something we all liked and it featured our stunning Cherry Lane cast on the front cover. As you can see Doug Haverty has little time to be bored with anything. He works diligently and gets great results. Look for future productions of iGhost, pick up Kritzerland cds - remember he designed the covers - and see this prolific man live onstage in My Three Angels beginning December 7.